Tradition takes a modern shape with our elegant menorah set. 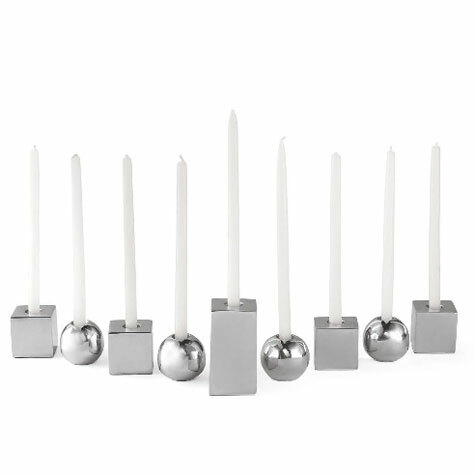 Made with nine individual candleholders, you can arrange the four cubes and four spheres around the rectangular shames (the tall, center candle) in the traditional manner, or arrange to create your own modern tradition. High-sheen aluminum. Holds .5″-diameter candles.